Celebrate the 40th anniversary of the debut of the original DALLAS TV series with legendary cast members Linda Gray (Sue Ellen Ewing), Patrick Duffy (Bobby Ewing), Charlene Tilton (Lucy Ewing) and Steve Kanaly (Ray Krebbs). Enjoy exclusive fan events in Dallas, Texas, and Southfork Ranch and experience up-close-and-personal memories as the cast reminisces about their careers and their time on the iconic show: DALLAS. Linda Gray's award-winning portrayal of Sue Ellen in the series brought her international fame and critical acclaim, earning her an Emmy nomination for Best Actress and numerous international awards. She is also an accomplished director, a former United Nations Goodwill Ambassador and one of the world's most recognized and admired stars. Linda's memoir, "The Road to Happiness is Always Under Construction," was published in September 2015 to enthusiastic reviews and became a fast best-seller. 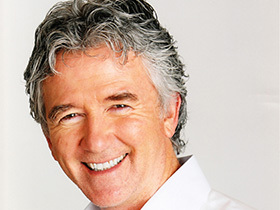 Patrick Duffy's tremendous worldwide audience appeal has been gained through three highly successful series. Starting with "Man From Atlantis," then his 13 years starring as Bobby Ewing on DALLAS (including the unprecedented "dream season" which he is brought back from the dead in the famous shower scene), and finally in seven seasons of the popular half-hour comedy "Step by Step." Patrick has consistently been an audience favorite. Charlene Tilton's portrayal of Lucy Ewing, the niece of J.R. Ewing, made her one of the most talked about characters on the series. In 2001, Charlene was honored by the Young Artist Foundation with its Former Child Star "Lifetime Achievement" Award for her role as Lucy Ewing on the original Dallas television series. She reprised her role as Lucy Ewing in TNT's Dallas revival series. Steve Kanaly, a Vietnam war veteran and highly regarded watercolor artist, captured the attention of millions of viewers worldwide as Ray Krebbs, the son of Jock Ewing. Steve's television credits also include a role on the ABC daytime drama series All my Children, Walker, Texas Ranger and the 2012 TNT revival of the DALLAS, reprising his role once more. 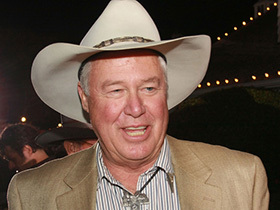 Start the weekend with Southfork tours and a meet-and-greet with the legendary cast members. Linda Gray, Patrick Duffy, Charlene Tilton and Steve Kanaly will be there to interact with fans and guests can tour the Ewing Mansion and relive exciting moments from the series in the "Dallas Legends" exhibit, featuring an exciting array of memorabilia from the show, including the gun that shot J.R., Lucy's wedding dress, the DALLAS family tree and Jock's Lincoln Continental. Come dressed as your favorite Ewing for a chance to win fabulous prizes. Party like a Ewing at this exciting 40th anniversary reunion celebration at the iconic Longhorn Ballroom, the filming location for many of the series' original bar scenes. Enjoy live entertainment by country favorite Neal McCoy, food and drink, and interviews with the cast moderated by the popular Jody Dean from Dallas' KLUV radio. Engage in DALLAS trivia, sponsored by the Dallas Film Society, for a chance to win exclusive prizes. *Ticket price includes admission, food, two drink tickets and valet parking. Event is 18 and up. Make it a Ewing weekend! Tickets are $125 per person and include admission to both Friday and Saturday events. Tickets are sold out. There will be no ticket sales at the door of either event.